Satisfy vegetarians with these delicious recipes. When planning a party, chances are at least one guest will be vegetarian. Creating a menu that pleases everyone (meat-eaters, vegans and vegetarians alike) is a challenge. 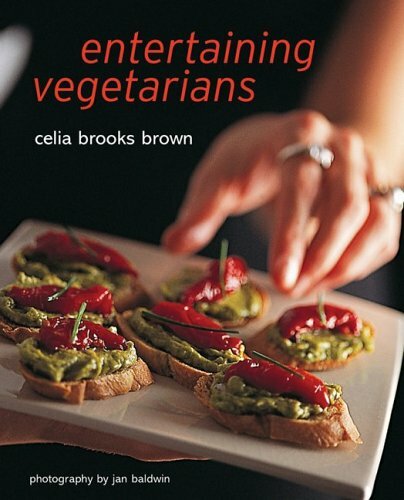 Entertaining Vegetarians offers more than 80 vegetarian dishes that will appeal to everyone. Devised and selected for a wide range of occasions, like impromptu meals with friends, formal parties and laid-back picnics, the recipes are fast and uncomplicated. Each versatile and delicious dish can be inserted easily into a menu that includes meat. Friendly advice provides pleasure in entertaining and gives home cooks the confidence to cater to any size group, large or small. Packed with helpful tips such as do-ahead preparation, this book will make entertaining fun and creative.